The REAL story here is that this clown had been arrested & incarcerated up to as many as 40 times! If there is any loopholes it’s in our Judicial System which has turned into a revolving door. These same Liberal Judges who release these Felons are the same ones who support and advocate for disarming law abiding Americans. 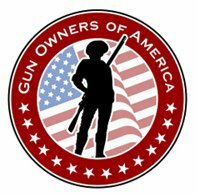 Gun Owners need to be well informed and start fighting back! This entry was posted in 2nd Amendment, Acts of Violence, Anti-Gun, Gun Control, In the News and tagged 2A, 2nd Amendment, Anti-Gun, concealed carry, Concealed carry in the United States, Crime and Justice, Crime Statistics, Gun Control, gun rights, Gun violence, pro gun, Pro-Gun Rights, Right to carry, Right to keep and bear arms, Second Amendment to the United States Constitution. Bookmark the permalink.